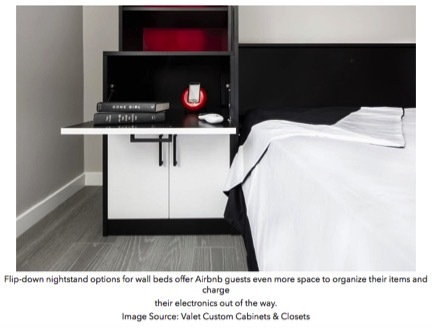 Airbnb’s meteoric rise and the impact it has had in San Francisco has been a hot topic for many in the Bay Area, including those of us in the closet and cabinetry business. 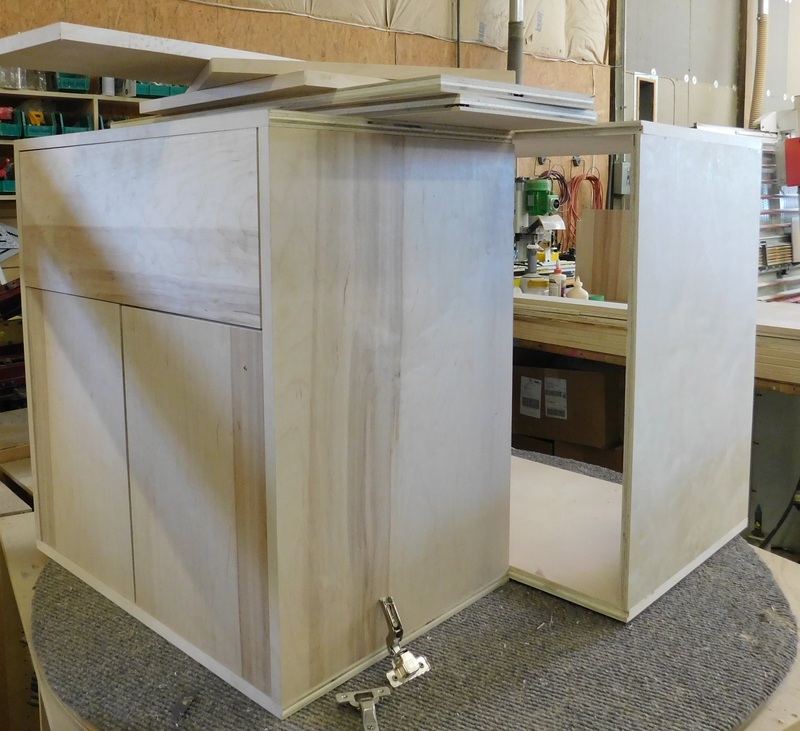 Custom storage and space-enhancing cabinetry can play a vital role in the ratings and financial value of an Airbnb property. There are key things to consider when you open up your home to Airbnb guests, and the way space can be utilized is a big factor. Airbnb is fundamentally a reputation-based platform. It bumps up hosts who have excellent home amenities and good reviews to the top of their search results. The company has a few criteria for evaluating the quality of a listing: reviews are important, but the algorithm is especially focused on “what makes your space unique, including any amenities you offer.” In San Francisco, square footage is at a premium and creative use of space gives guests the type of unique experience that earns the best reviews. For example, a murphy bed, otherwise known as a wall bed, folds into the wall, allowing a space to be fully used during the day, but at night sleeps an extra person, which also means that you can increase your nightly rate. From the perspective of an Airbnb guest, a wall bed can make the difference between an uncomfortable night on an inflatable mattress and a good night’s sleep on a real bed. 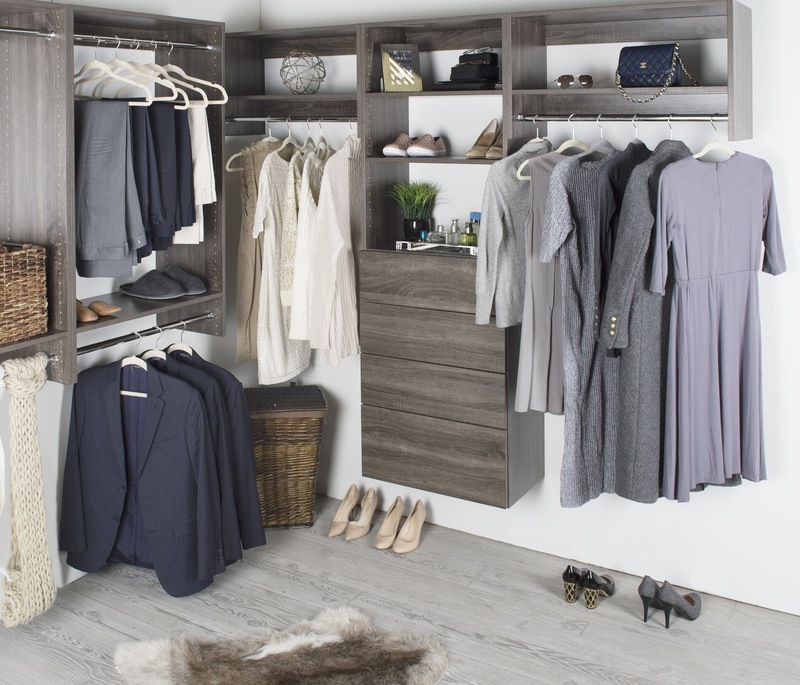 Professionally designed cabinetry, closets and home offices can increase storage and functionality significantly while still not infringing on living space. If you’ve ever stayed in someone else’s home, you may know the frustration of finding a coat closet stuffed so full that you cannot even get one more item in, and having to basically live out of your suitcase for a week or two. Having a designated, separate space for guests to unpack their things can add great value to their overall experience, and shows that you’re a thoughtful host. Adding a vertical tilt queen-sized bed anywhere in your house is going to occupy just over 41 square feet of space when fully opened —room that, in San Francisco, most people just don’t have. Many Airbnb travellers use the site to find budget accommodations for their family or small groups of friends. 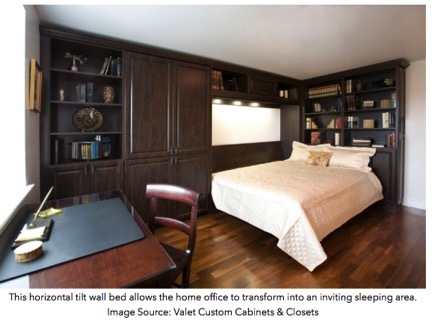 Since murphy beds are still quite uncommon, integrating one into a cabinetry system allows your home to host a varying number of people based on the group’s needs, while also being a unique perk for guests to experience—these types of details are things people remember for their reviews. Additionally, we can integrate shelving and a clothes rod into the wall bed unit to provide visitors the space to hang up their clothes, and ensure privacy for the host since you won’t need to open up your own closet space for guests. 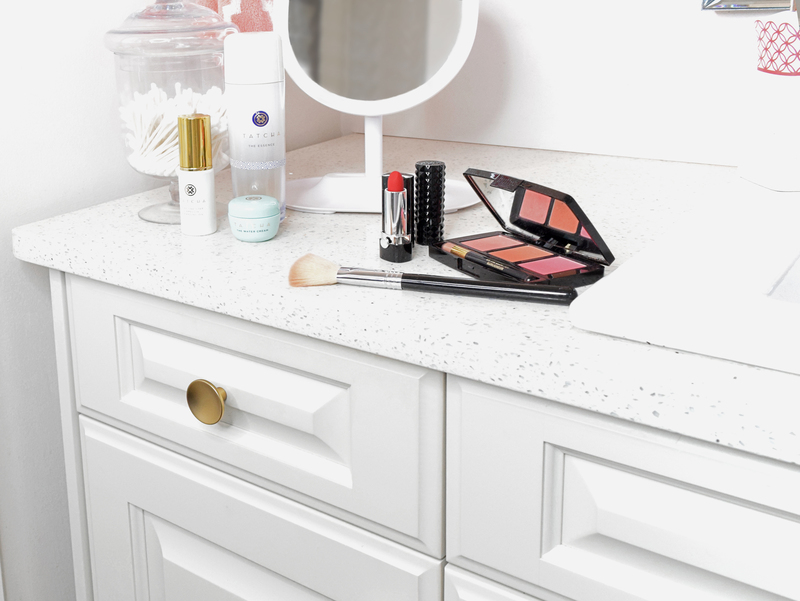 If your wall bed occupies the same space as your home office, lockable cabinet space integrated into units can also store your belongings out of sight. One of my favorite things about San Francisco architecture is the bay windows—the sight of a Christmas tree framed behind a three-panel window during the holidays plucks a few special heartstrings. But this space can be more than just aesthetically pleasing and installing customized storage can add a lot of extra value to your seating area. Drawers can turn a window-seat into storage for laundry and linens. That way guests can easily access extra sheets and towels, and also have more space to store clothes if they need it. 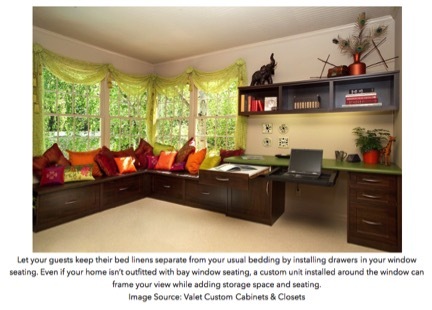 Valet Custom Cabinets & Closets is the result of the 2005 union of Valet Organizers (est. 1987) and Eurodesign Ltd. (est. 1973). 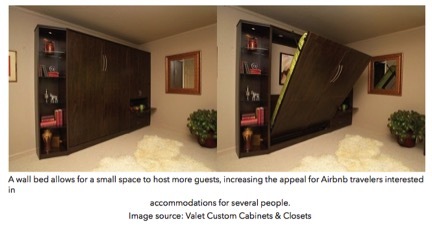 Valet was one of the original companies to enter what has become the closet and home organization phenomenon. Eurodesign was an early pioneer in the field of custom built-in furniture for the home. Both companies established reputations for quality and service and became known as industry leaders for product innovation. Larry and Audrey Fox have owned Valet since 2000 and as President, Larry is actively involved in every aspect of the company. For more information, visit www.valetcustom.com.